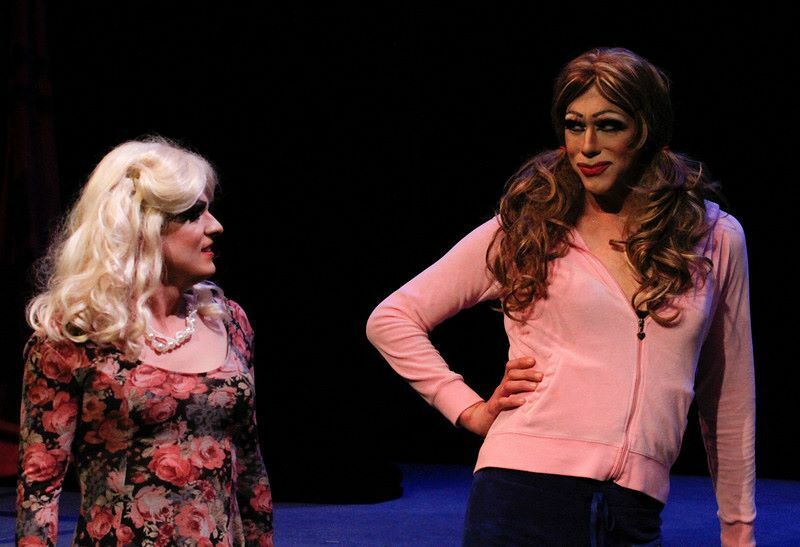 "The Break-Up Break-Down" was the raunchy/ hilarious premiere launch production of Circle Circle dot dot. For our first production, we decided to explore the revealingly raw aftermath of heartbreak- and make fun of it! This play introduced the construction of our scripts by basing “The Break-Up/Break-Down” on true stories from the our original 8 company members. It being our first project; we took many steps to insure its success including a public reading hosted at Diversionary Theatre that allowed our audience to advise us on how to make the piece the best it could be, (thus creating the “community feedback” play-development structure we still hold in place today). The process turned into a truly a eye-opening and experience and this wild, but often touching show about the perspective of heartache will hold a very important place in our history. "The Break-Up/Break-Down"! Running June 25th-July 10th at the 10th Ave. Theater! Visit www.circle2dot2.com to get your tickets today! 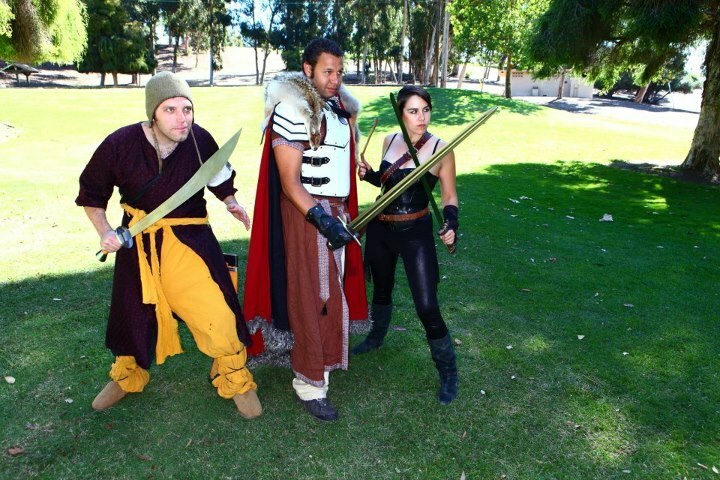 For our second original Community-Based production CCdd dared to ask our audiences if they were ready to take their role-playing fantasy games to the next level- because members of the LARPing Community of San Diego wanted to show them the way! In ‘Ragnarok’, our leading warrior Neil and his motley crew of Orcs, Wizards, and Elves took to the park to live out the action they experienced in their table-top role-playing fantasy life. This production featured reflective stories of glory and woe from a few brave D&D enthusiasts that wanted a little something extra from their fantasy worlds. Playwright Katherine Harroff, Director Stephen Schmitz, and Company Members of Circle Circle dot dot collaborated to create an original production that gave audiences a glimpse into the lives of this unique community of San Diego, and shared that even in fantasy, a bitter reality can rear its ugly head. 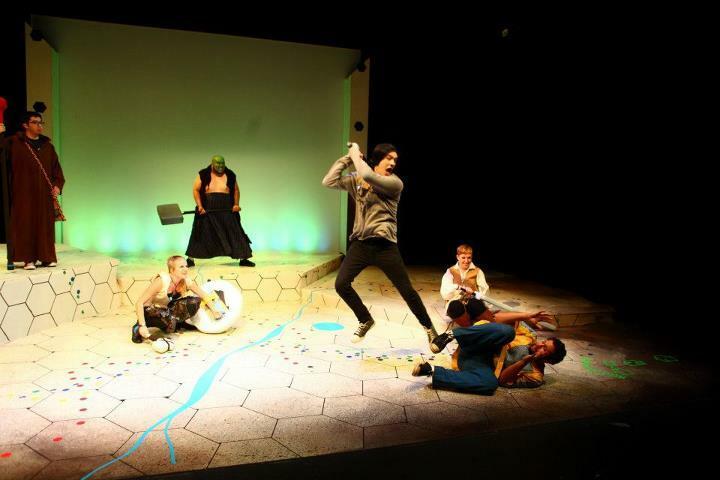 ‘Ragnarok’ was an explorative performance of true stories shared with Circle Circle dot dot by real Live-Action Role-Players that live in among us all. Based on the life of drag sensation Grace Towers "Deconstruction of a Drag Queen" went under the wigs and into the closets of some of the most delicious Drag Performers of San Diego and revealed that besides the make-up, the glitter, the hip pads, and the heels- the most important ingredient to becoming a true diva is bravery. A young man finds freedom in the world of Stilettos, a one-stop gender-bending performance destination by joining it's ringleader the Duchess Hunny Mustard as she put on a very special production that unveiled the crowning of the club’s newest Queen. It is timeless tale of forbidden love, but it isn't a love for another person that drives our main character to break all the rules that were set for his life, it's the love of an incredible art form. "This play is dedicated to anyone that has had the strength to take risks in the name of love- and I am hopeful that it may inspire others to rise above the binds of intolerance to discover the diva within." - Katherine Harroff, Playwright of Deconstruction of a Drag Queen. A fabulous fundraiser for Season 1 presented on February 11, 2012. Circle hosted this fabulous fundraiser on February 11th, 2012.